Spilia is a unique restaurant like no other on the island. It is located in Agia Anna beach, in an actual cave. 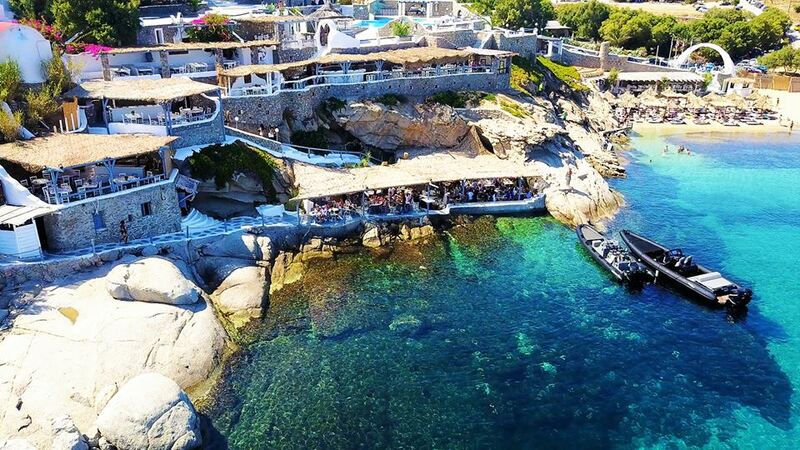 Peacefully nestled on a natural platform on the rocks, hanging over the sea, Spilia Seaside restaurant is one of the most iconic Mykonos hotspots. In Spilia you will find Mediterranean-Mykonian dishes that offer an unforgettable culinary experience, and combined to the breathtaking view, create an unparalleled environment. What can one say about Scorpios? Located in a rather rare spot, in Paranga beach, is kind of isolated from the rest of the island watching it from above. 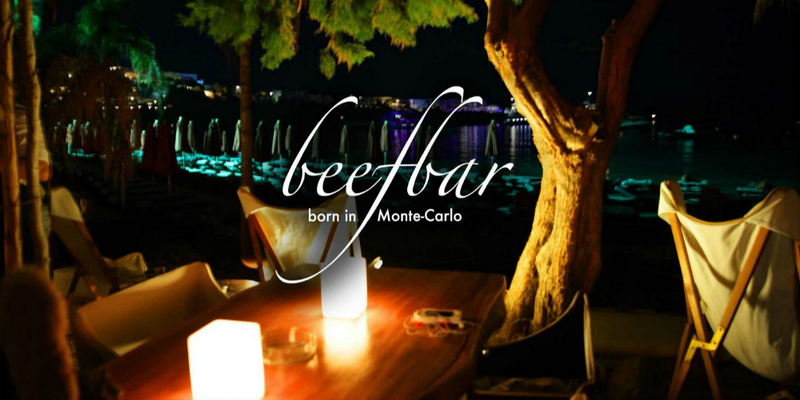 An open-plan restaurant enjoying one of the best views on the island, presenting simple, refined dishes that are infused with a Greek provenance yet bear the mark of Mediterranean and Oriental influences. Visiting Scorpios is a once-in-a-lifetime experience that should not be missed by any cost. 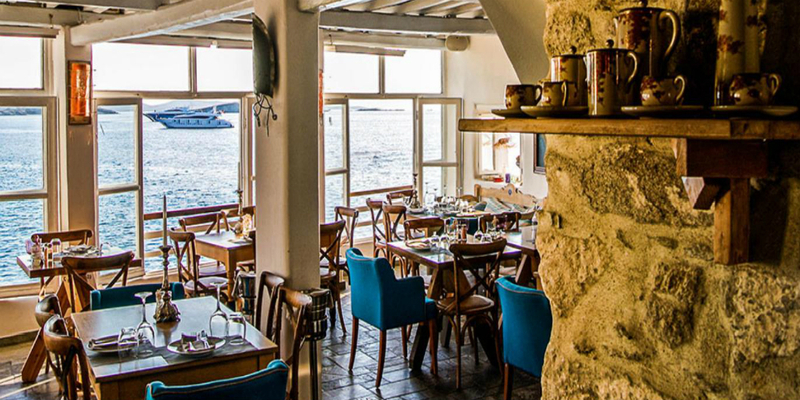 Remezzo is one of the oldest bar-restaurants in Mykonos, established in 1967, just right at the old port of Mykonos town. It has become through the years the meeting point of international jet-setters, well-known for unforgettable nights. 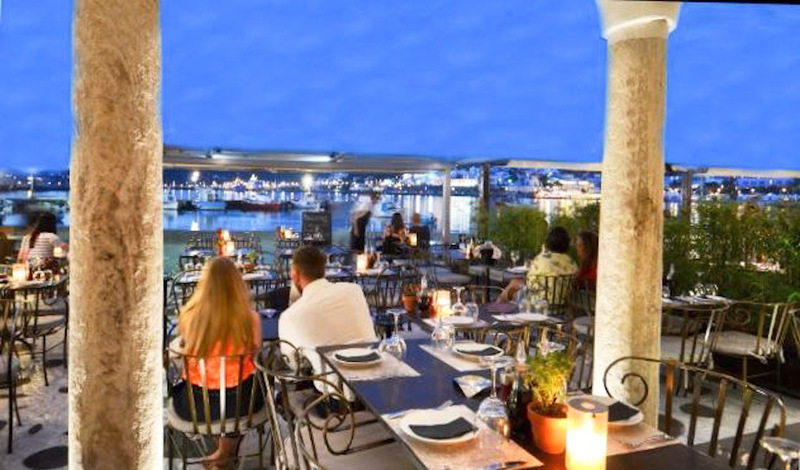 In a magnificent spot with an astonishing view, Remezzo is the place that you can find Mediterranean cuisine mixed with multinational influences, and extraordinary cocktails made by the best bartenders. 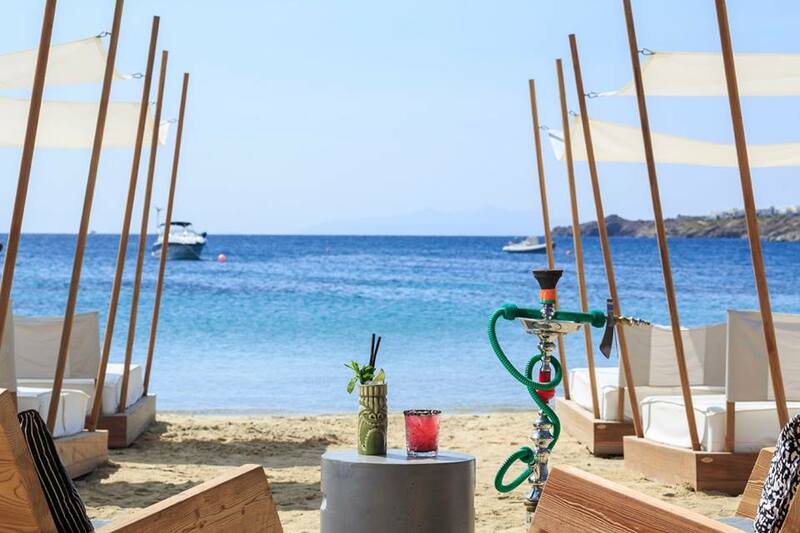 If you are in Mykonos, Remezzo is the place to be. Principote is located in Panormos beach, in an advantageous spot with a breathtaking view ahead and a golden beach at the front. 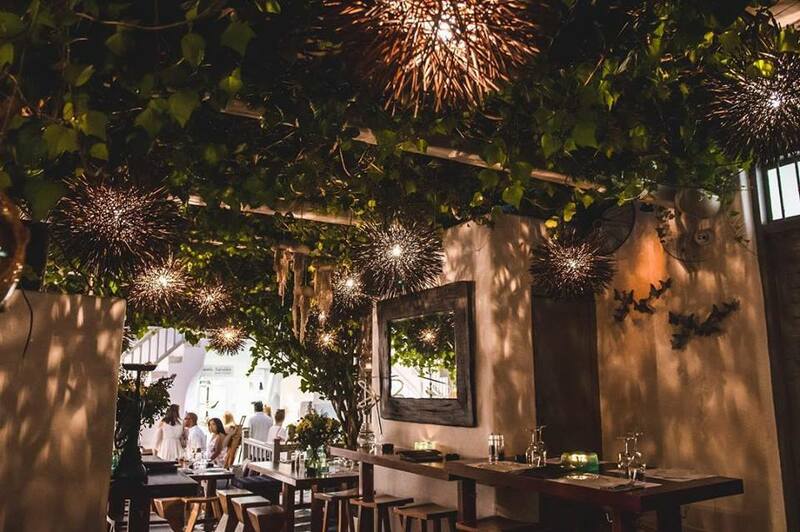 A unique culinary experience, serving fresh, Mediterranean-driven delights, and with a unique wine list that will satisfy even the most demanding guests, Principote offers a delightful experience that will surely be unforgettable. 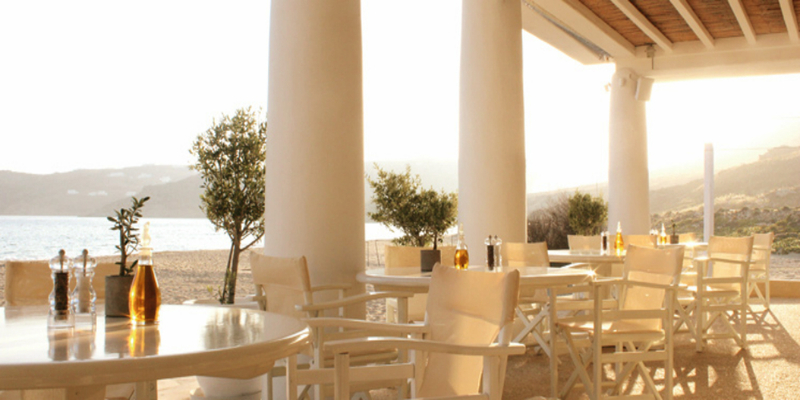 Pili restaurant lies at Agios Ioannis beach, just a few steps away from the sea. 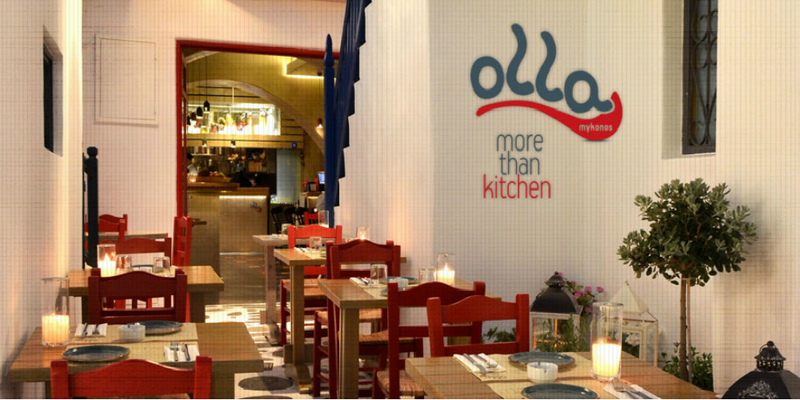 Pili invites you to explore the tastes and flavours of Greek traditional cuisine enhanced with a modern touch. 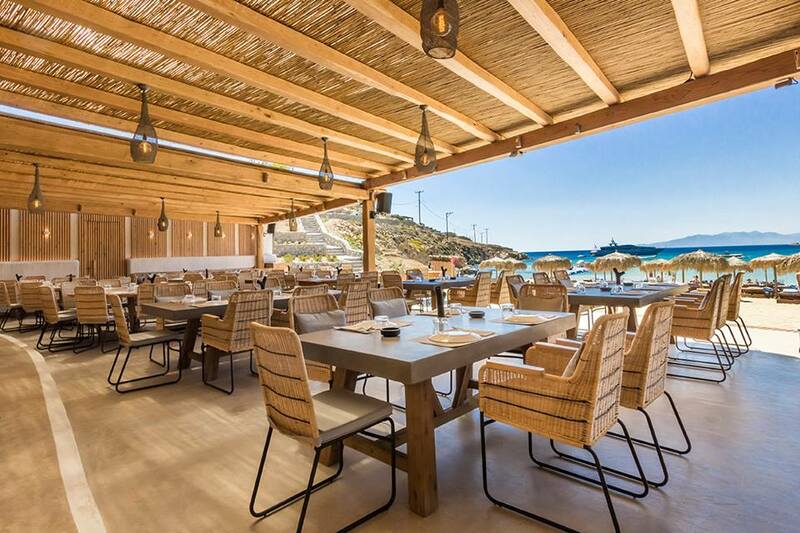 No matter which dish you choose, it is certain that everything is made with the finest and freshest ingredients, and with the view of Delos island in the horizon, the dining experience will become unforgettable. Pasaji is placed in an idyllic location at Ornos beach, just in front of the sea, and it’s perfect from morning till dawn. 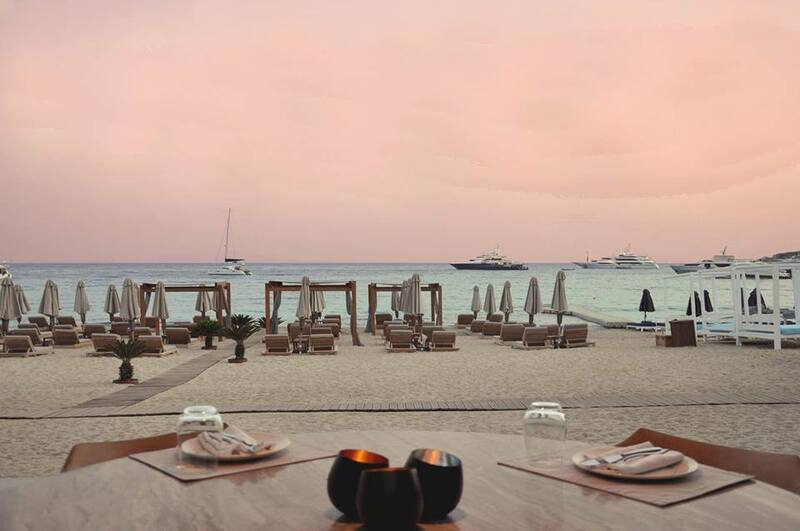 Just a few steps away from the beach, Pasaji tempts you to taste unmatched dishes in a gastronomic experience that mixes Greek, Italian and Asian cuisine, made by the purest ingredients. 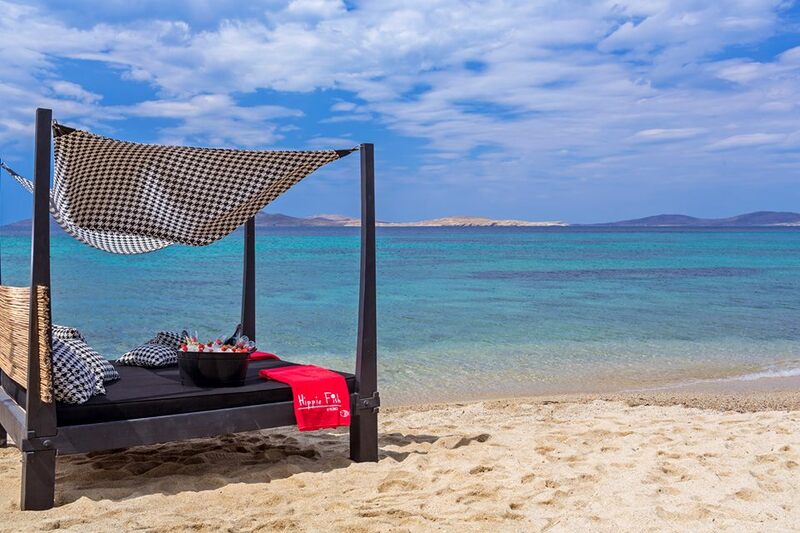 In any case, relax and enjoy your experience in Pasaji, Mykonos. 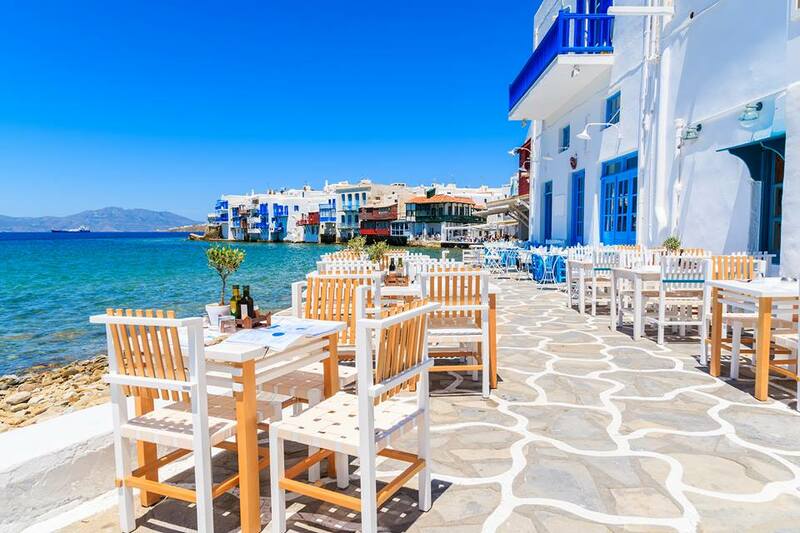 Nice’n’Easy is located at one of the best spots in Mykonos town, in Alefkandra square near the famous Windmills, offering a splendid view to the Aegean ocean and to mesmerizing sunsets. The restaurant is dedicated to serving organic, locally grown food, a conscious approach to supporting sustainable, wholesome, biological cuisine sourced from regional farmers and producers. It is a must experience for everyone. 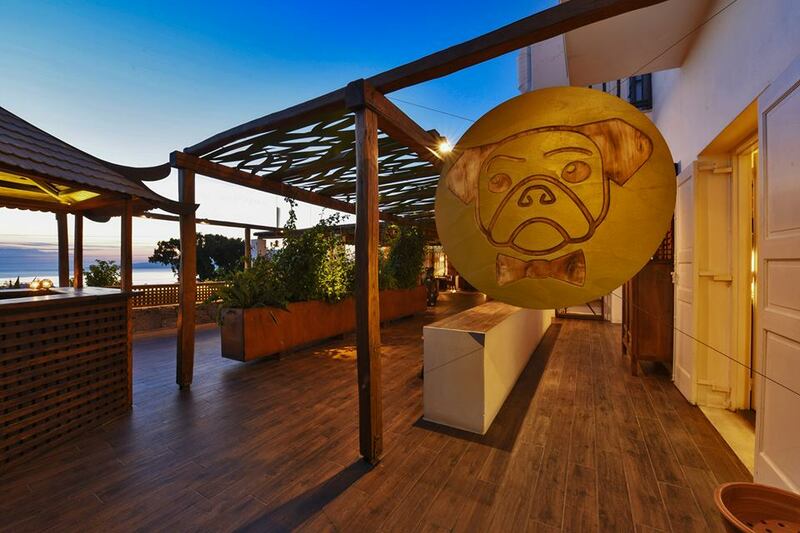 Mr Pug is a high-end restaurant situated in Mykonos Town serving quality fusion Asian cuisine with unique and artistic presentation. It is a family restaurant in an exceptional location with a beautiful veranda from where you can view the colours of the sunset if you visit at that time. The menu contains excellent flavours, imaginative recipes made by the finest ingredients and generally dishes that come straight from Asia. 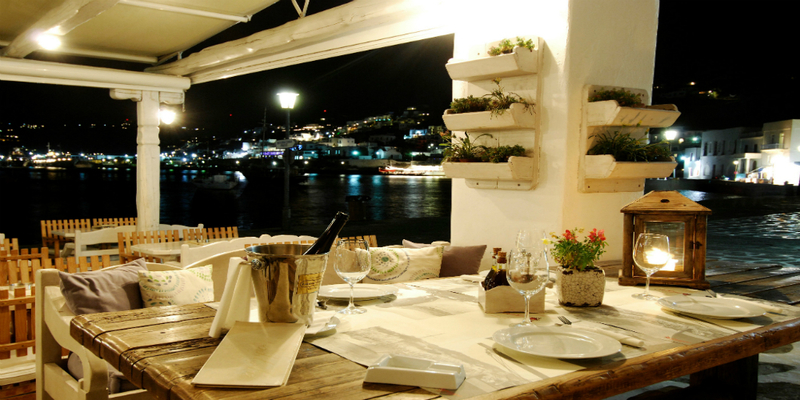 It is a restaurant that makes the difference in Mykonos. 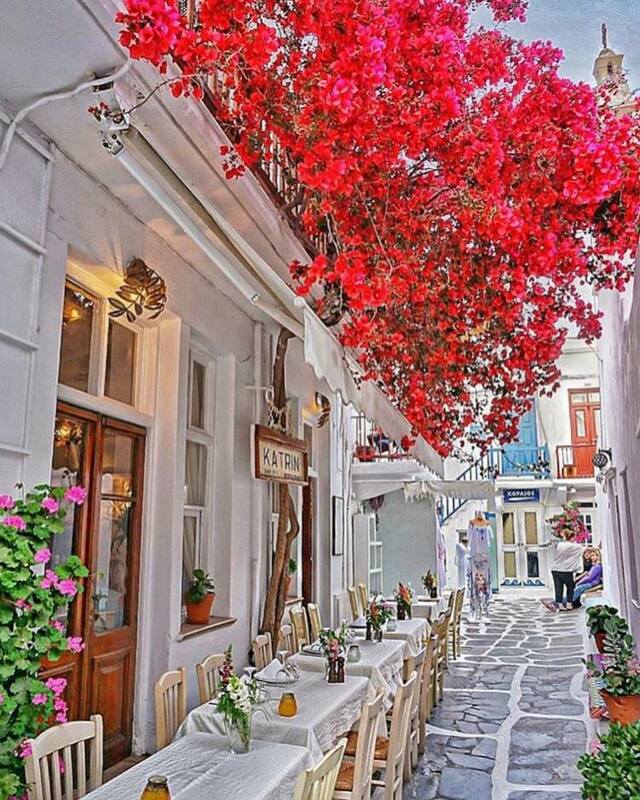 Settled in Mykonos town, in one of the most renowned alleys, Lotus restaurant is one of the most historic restaurants of Mykonos. With a beautiful small cosy courtyard, it is almost hidden from people. The Mediterranean cuisine has suggestions that tempt you every day, while the fine list of wines and cocktails accompany the meals properly. 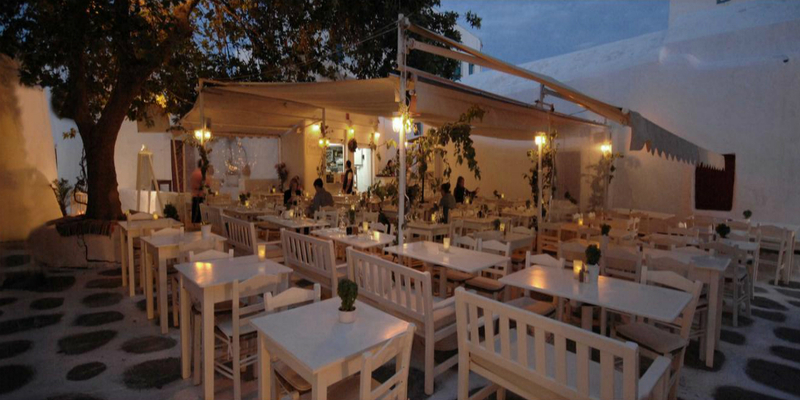 Lotus is perfect for informal nights in Mykonos town. 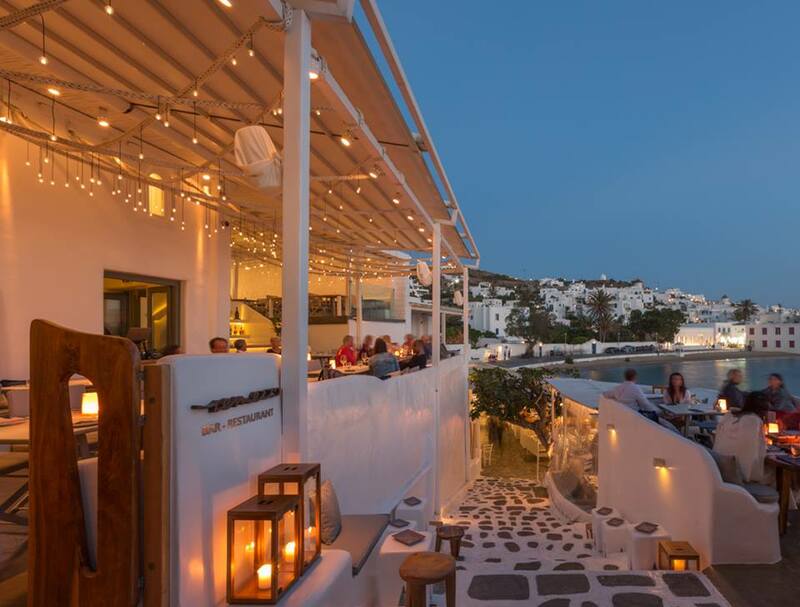 Located in the centre of the old town, Ling Ling Mykonos has an open-air restaurant and bar, private dining and lounge, perfect for island living and late-night revelry. Guests are able to taste a variety of Cantonese-style dishes accompanied by an exquisite drinks menu, from unique summer cocktails to a superb wine list. The Ling Ling experience is designed to evolve throughout the night taking you from dining to drinking to dancing, in no particular order. 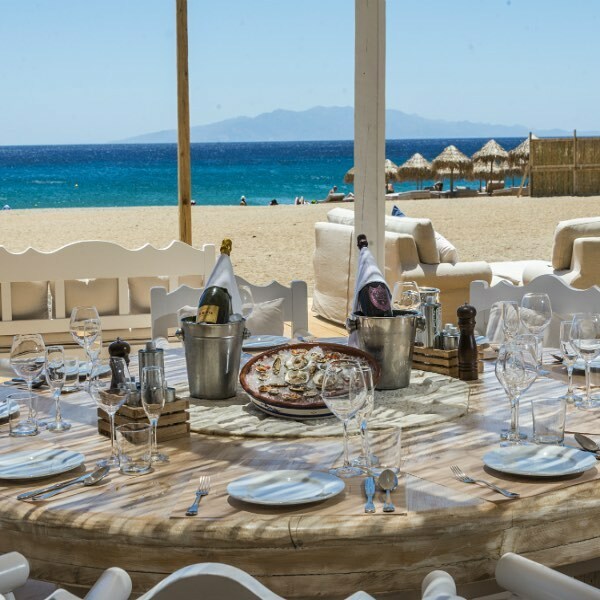 Liasti restaurant sets on the magical scenery of Lia beach. One can visit Liasti for a tasty and balanced light lunch and aperitifs on the beach until dinner time. Mediterranean and international cuisine consisted of the finest ingredients can be tasted in an elegant environment. At Liast restaurant taste meets the atmosphere and the food becomes a real experience. Kiku is a Japanese restaurant with a 23-year-old history. 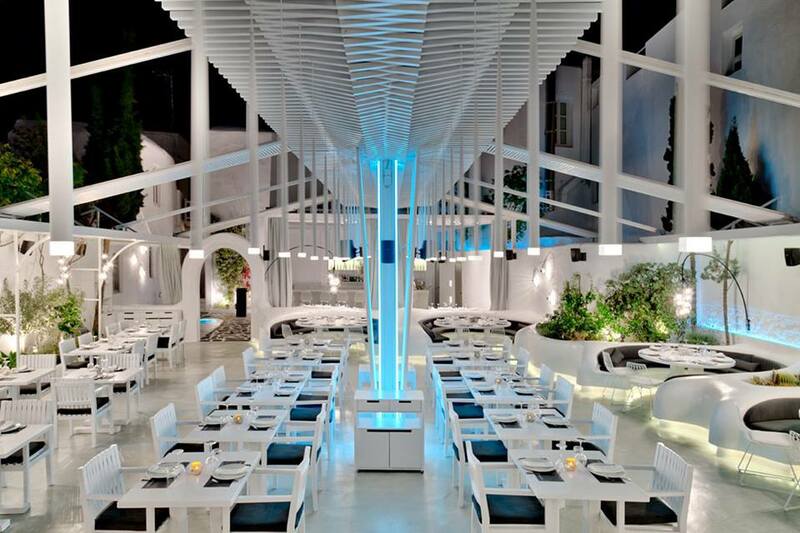 Being the first Japanese restaurant in Athens, Kiku has since become one of the most distinguished luxury & lounge nightlife brand regarding sushi in Greece. 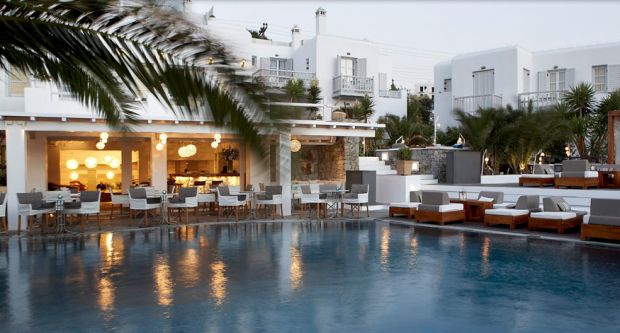 Located in the heart of Mykonos town, in a beautiful environment of unique aesthetics and plain luxury, it is certain that will offer peace and enjoyment along with exquisite taste. This hidden little tavern over Agios Sostis beach is destined to become the favourite haunt of those seeking quality in the simple and the traditional. Kiki’s tavern is well known for the simple delicious dishes and the warm hospitality, with traditional Greek dining at its best. It works with no electricity so make sure you will arrive before the sun sets! 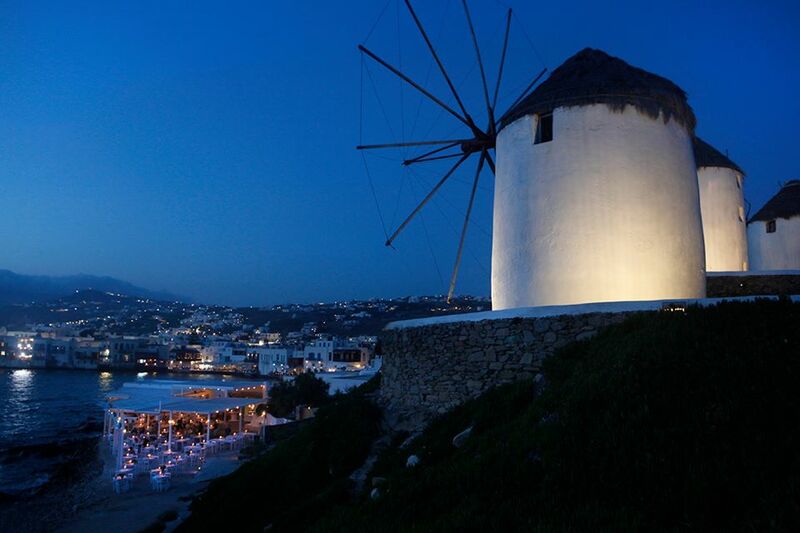 A place that you must visit during your stay in Mykonos! Kazarma has proven through the years to remain a gastronomic delight, where taste and history come together. 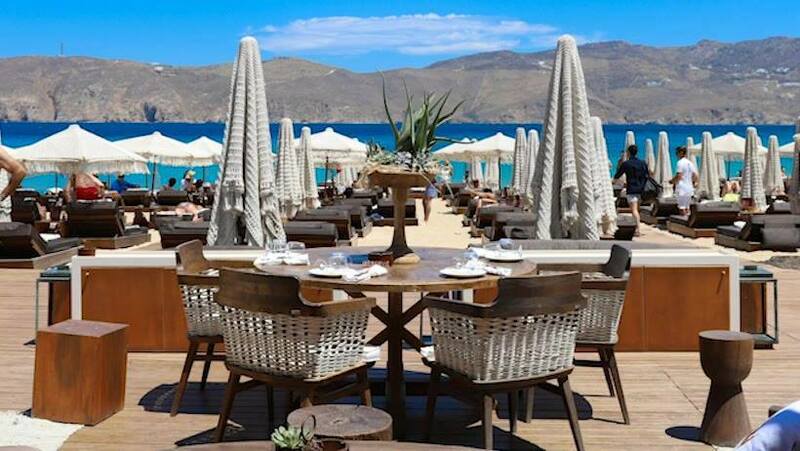 Located at Gialos, just in front of the sea, at the heart of Mykonos town, for breakfast, lunch or dinner, from authentic Greek cuisine to exotic cocktails, it is the ideal place to be. 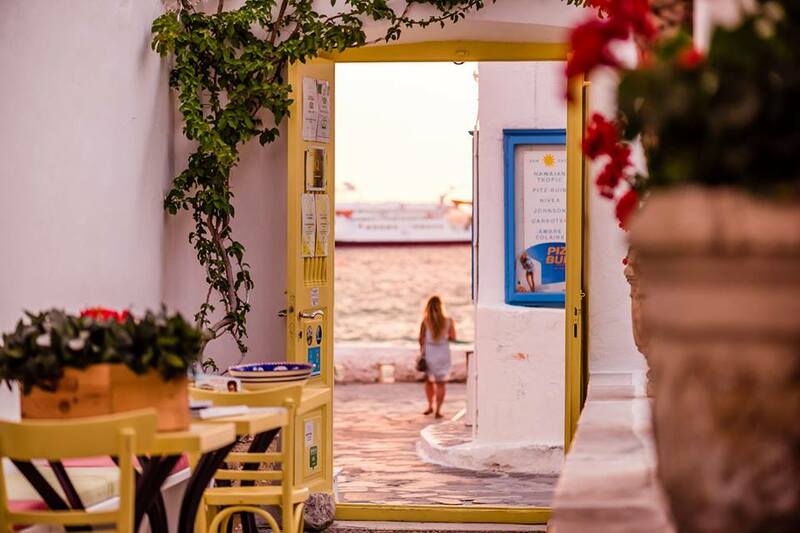 Hidden in one of the most beautiful alleys in Chora of Mykonos, Katrin restaurant offers for more than four decades impeccable delicacies and has hosted at his few tables all the jet-setters that ever arrived at the island. Greek cuisine is combined with French cooking in an elegant environment, creating a warm unforgettable experience for the guest. Fokos tavern is placed at Fokos beach. Surrounded by a remote unspoilt environment, offers the guest the peace and relaxation he seeks. 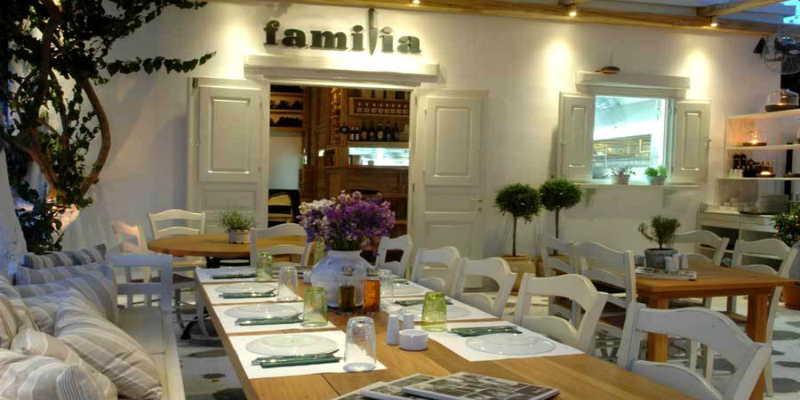 The menu is mostly Greek traditional with fresh ingredients of excellent quality. 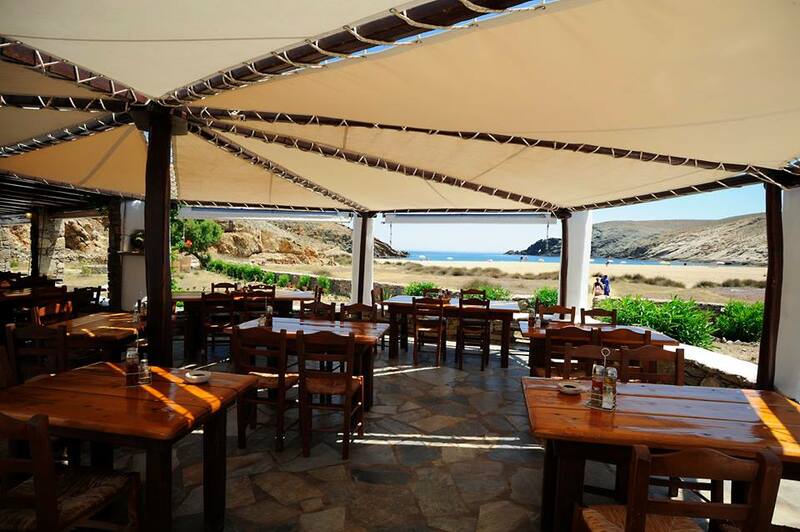 The combination of a beautiful natural setting, laid back atmosphere and great food will make your visit to Fokos a memorable one. 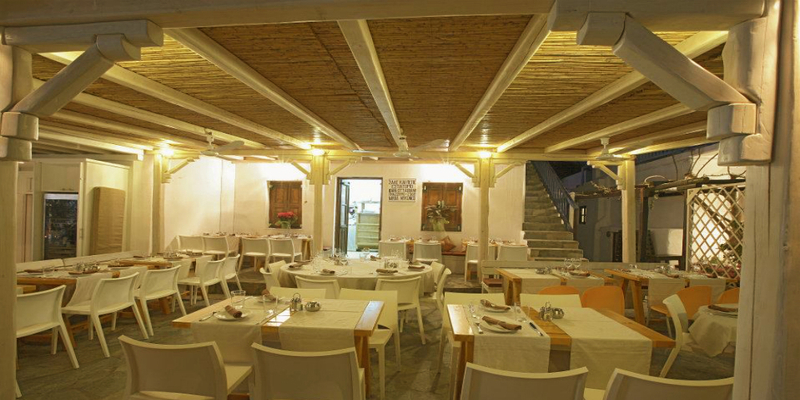 Catari restaurant located in the old town of Mykonos near the port is an exclusively Italian restaurant with traditional Italian cuisine. The welcoming courtyard filled with palm trees and flower pots reminisces a Neapolitan villa, and the scene completes the colourful yet elegant decoration. 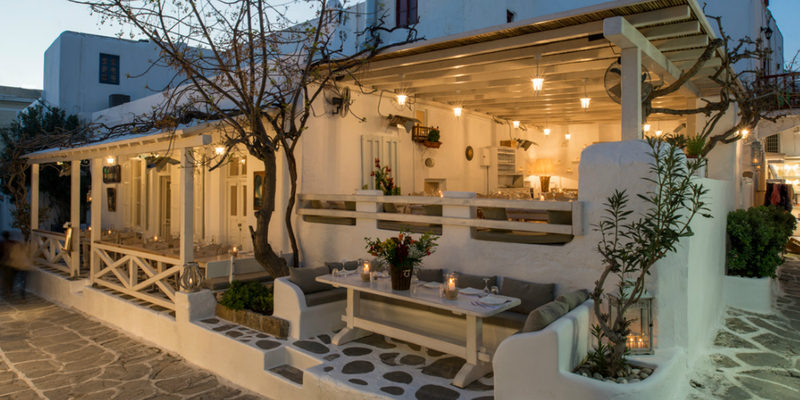 An authentic Italian atmosphere in the heart of Mykonos. 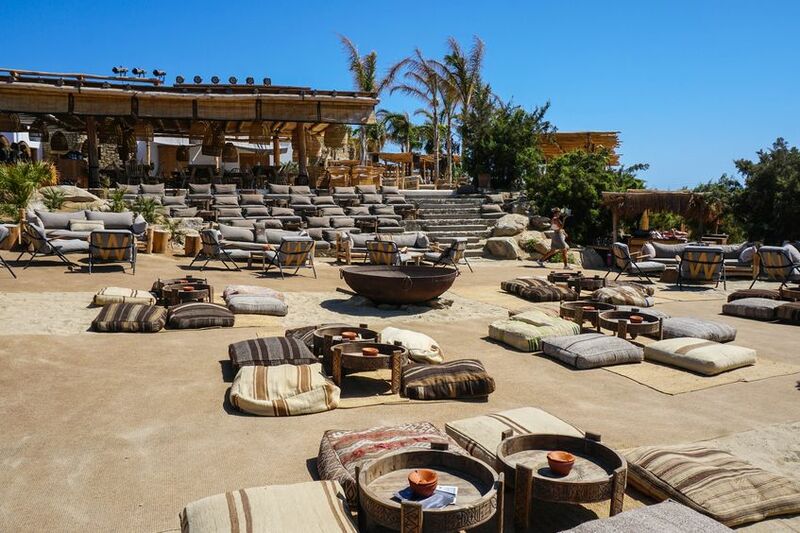 Buddha bar restaurant is located at Santa Marina’s beach, Ornos. Towering above Santa Marina’s private beach, the seafront setting creates an alluring backdrop for the renowned combination of first-class dining, smooth sounds and inspired cocktails. A choice of exceptional Mediterranean & Greek fusion cuisine, together with Buddha-Bar specialities will be offered for lunch and daytime hours. A distinctive experience that one cannot miss. 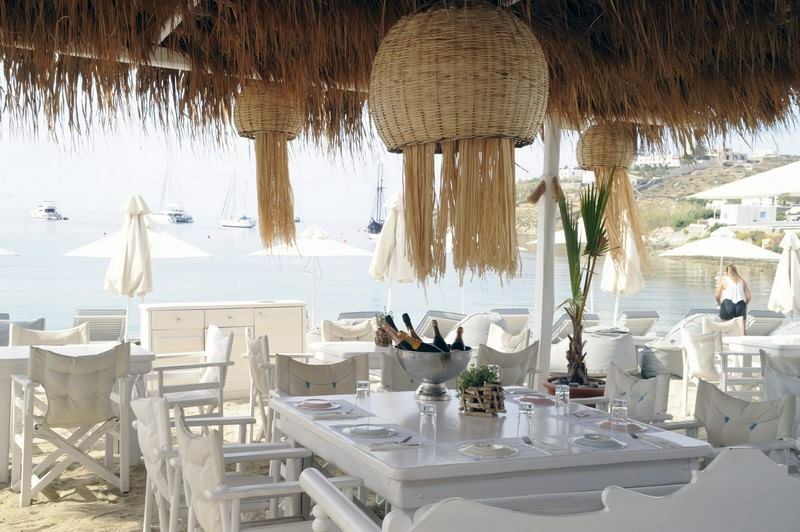 The restaurant of Branco Mykonos is located at the seashore of Platis Gialos. 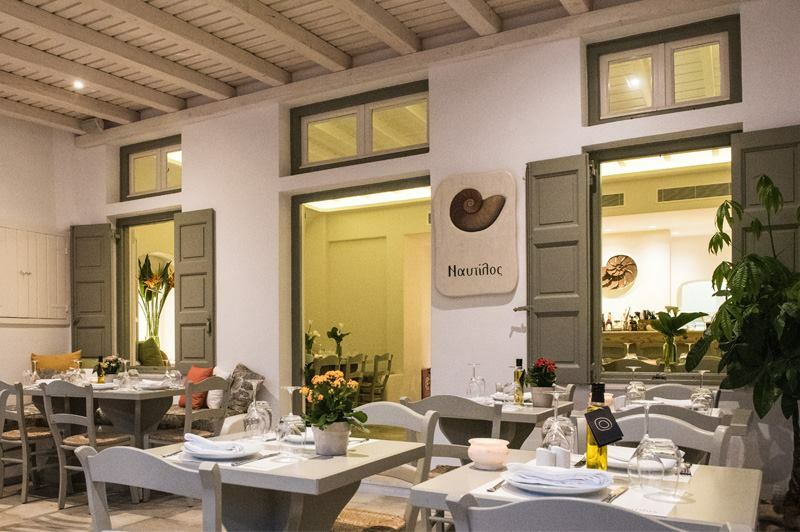 The cuisine of Branco restaurant is basically traditional Greek but re-introduced. The ingredients used are only the best of quality. The mesmerizing view along with the relaxing music and the elegant design creates an incomparable atmosphere and a magnificent experience one must certainly enjoy. Bandanna is an Italian restaurant located in Kalafatis beach. Authentic Italian pizza, pasta, and all of the Italian delicacies can be found here. One can visit Bandanna restaurant to satisfy his hunger after a long day at the beach, since it is in front of the sea, enjoying a wonderful view of the ocean. 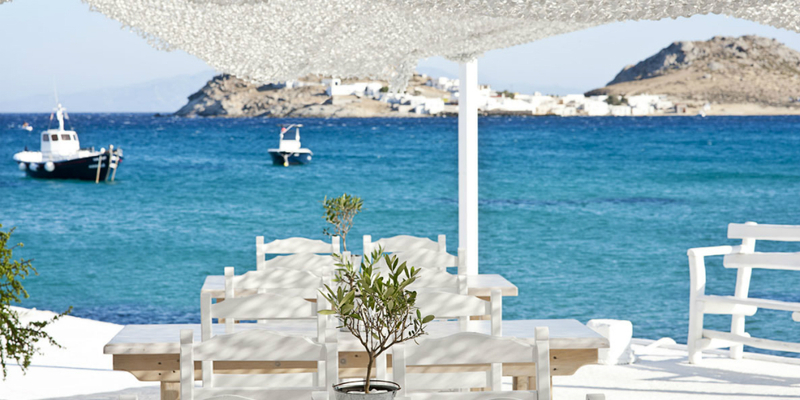 Avra restaurant is spoted in the heart of Mykonos, in an idyllic location, someone could say almost secretive. With Greek and international cuisine, Avra is the ideal restaurant for all budgets, serving always the freshest food with excellent service, satisfying even the most demanding clients. 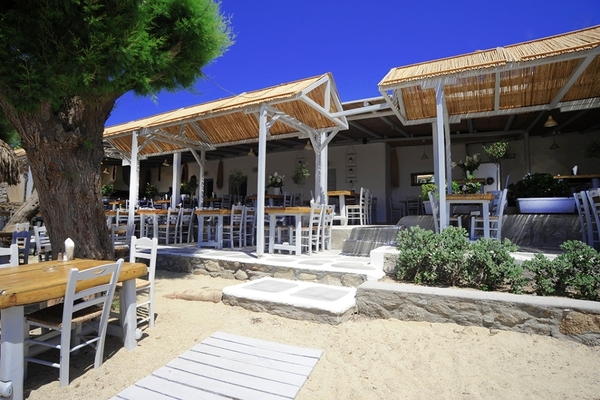 Aperanto Galazio is an all-day bar restaurant located at Ornos beach. 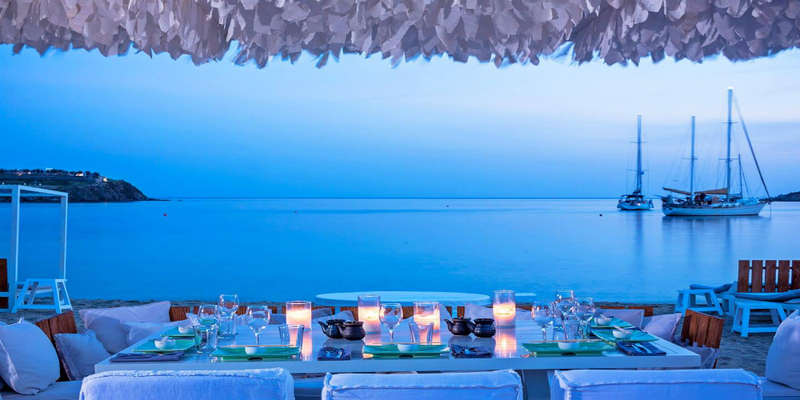 This seaside bar-restaurant is ideal to spend the whole day until sunset and after in the evening. You can begin with a frozen coffee along with sunbathing in front of the crystal waters, then continue with a unique dining experience and end with a cocktail by the sounds of the DJ set until the first morning hours. 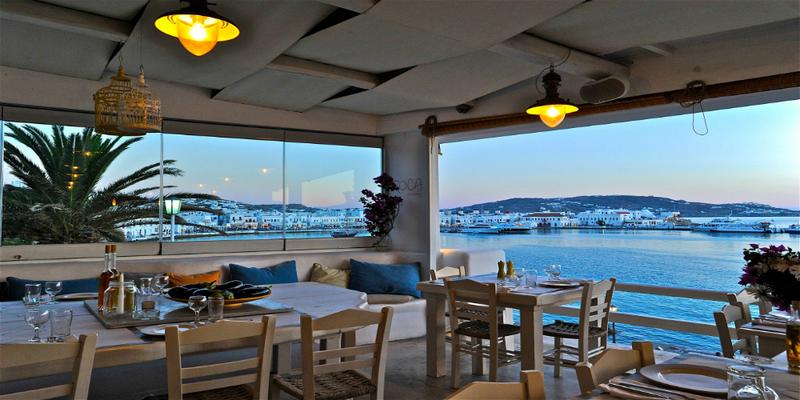 The restaurant Apaggio in Mykonos lies at Ornos. 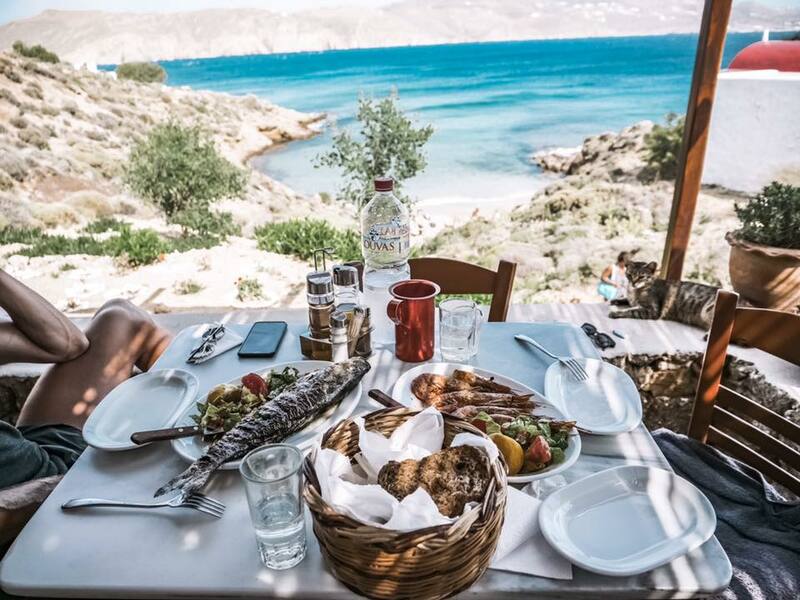 This Myconian oasis offers Greek cuisine, giving you the chance to dive into the Greek waters, tasting its treasures, in an idyllic setting by the sea. Pure ingredients mix up with fresh fish and shellfish, creating an excellent menu. 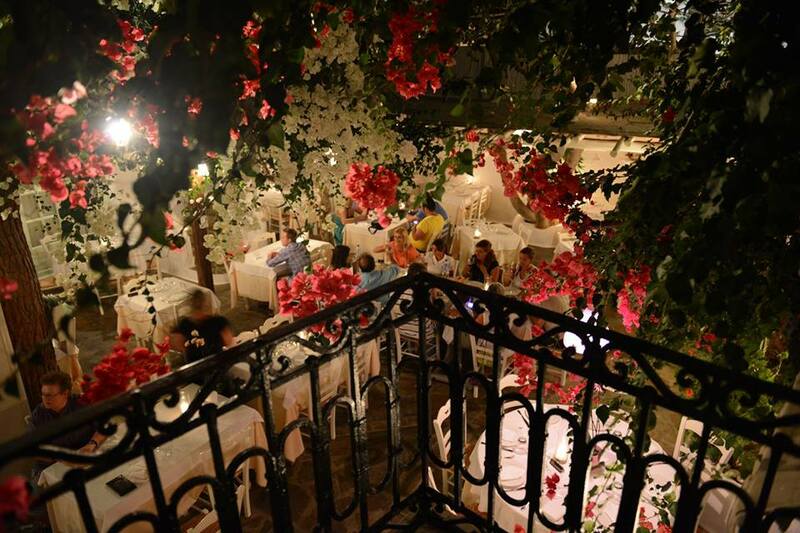 With beautiful decoration and soft music, Apaggio serves Greek tradition in every bite. 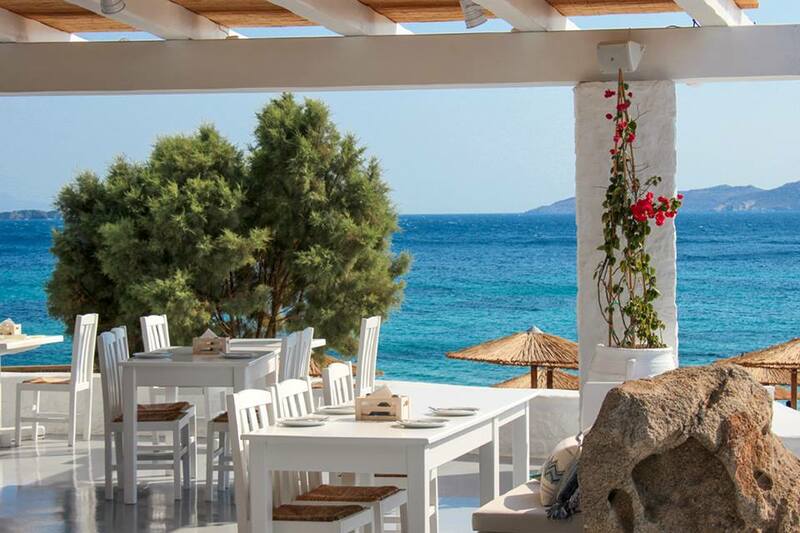 At the western part of Mykonos, on St. John’s beach, you will find Hippie fish Beach Restaurant & Bar. 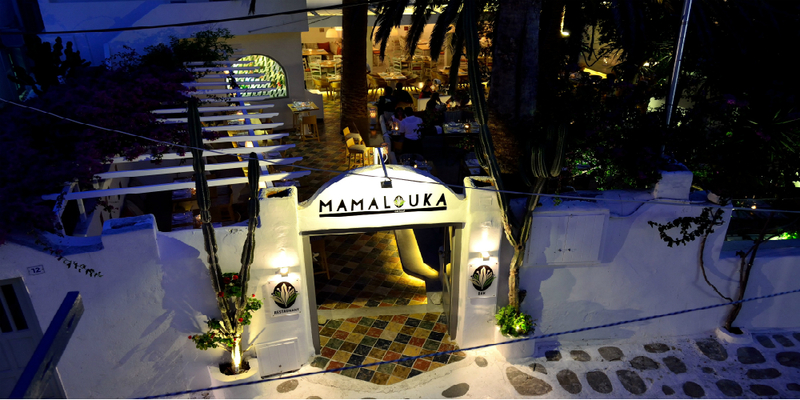 With traditional Myconian and Greek cuisine, served in a peaceful and amusing environment of Cycladic architecture and modern decorating. Stay until the sunset and enjoy the view of Delos on the back ground. 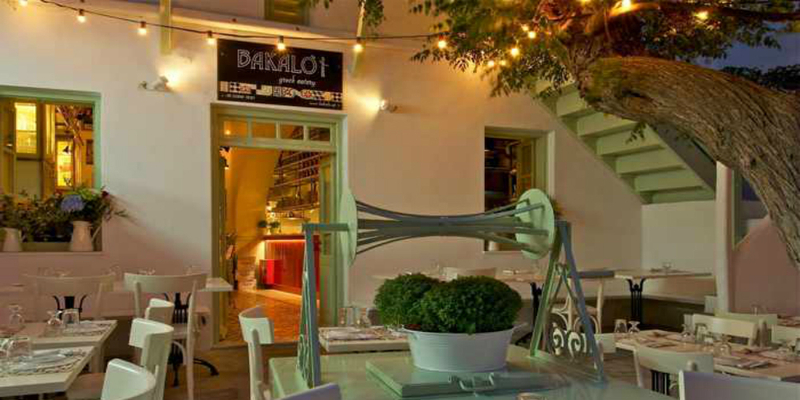 M-eating restaurant located in Mykonos town, in a perfect location, in a traditional building of the last century. Menu includes Mediterranean tastes, with a local orientation, where the chef is taking special care of them. Elements of the wider Mediterranean cuisine, in combination with local tastes differently presented. Nammos one of the best beach restaurants in Europe, located at the famous beach of Psarou. Crystal blue water, and golden sand, hosts every summer the international jet set and remains the most cosmopolitan meeting point in the island. Nammos restaurant has the best reviews all the years of operation from the international press. 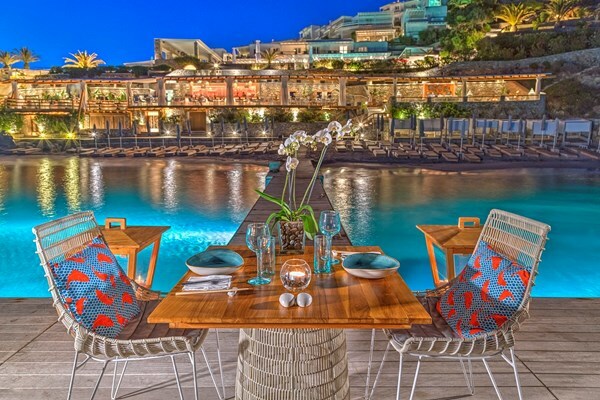 Nobu restaurant of famous chef and enterperneur Nobu Matsuhisa, is a worldwide renown New Style Japanese restaurant that is located in Belvedere Hotel in Mykonos town. The sophisticated ambience is combined perfectly with the cutting-edge cuisine. It is a perfect opportunity to discover Japanese flavors with Peruvian influences and the best sushi in Mykonos town. 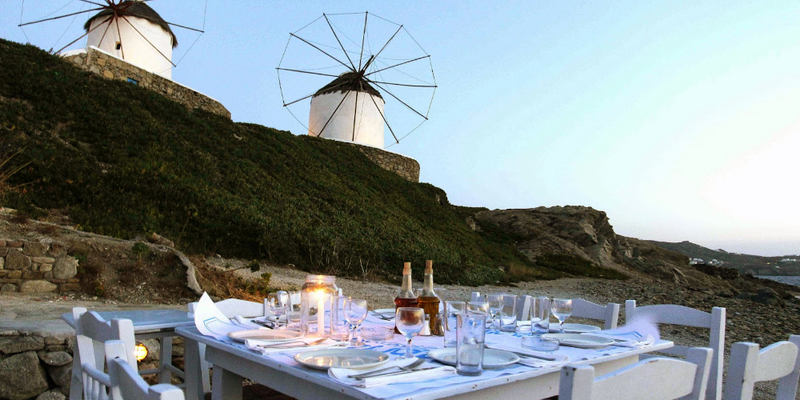 Sea Satin is located in the most beautiful area of Mykonos, just under The Windmills, opposite the Little Venice with sublime views of the Aegean Sea and Sunset. 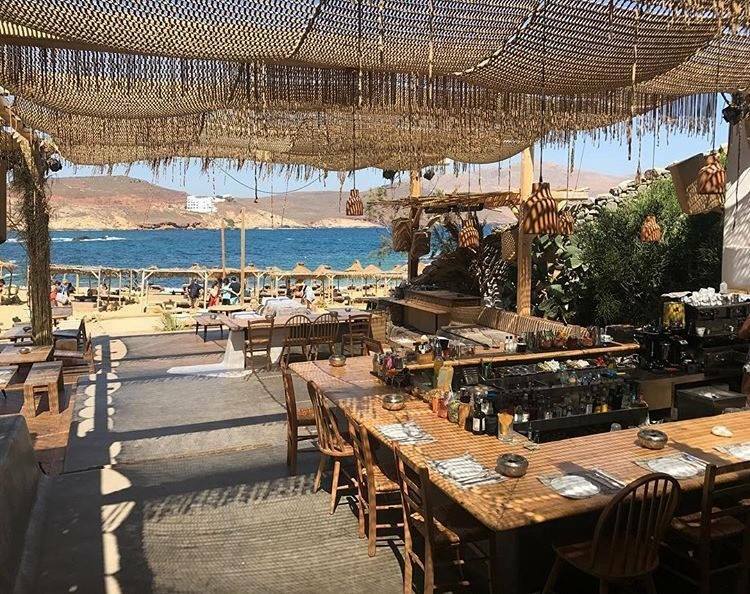 The restaurant specializes in Aegean fish and seafood, which are grilled masterfully and served sizzling in an eccentric way to charm all senses, but vegetarian menu can also be found made by the freshest ingredients. Sea Satin is a glamorous, cosmopolitan unique place where simplicity meets luxury. Solymar is nested at Kalo Livadi beach, one of the most beautiful beaches on the island. 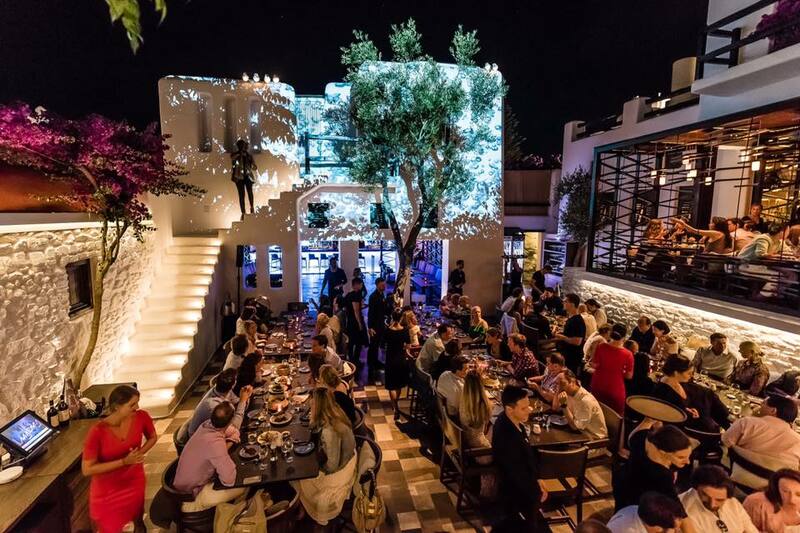 Since its opening, Solymar has always been an attraction for the Greek and international connoisseurs. 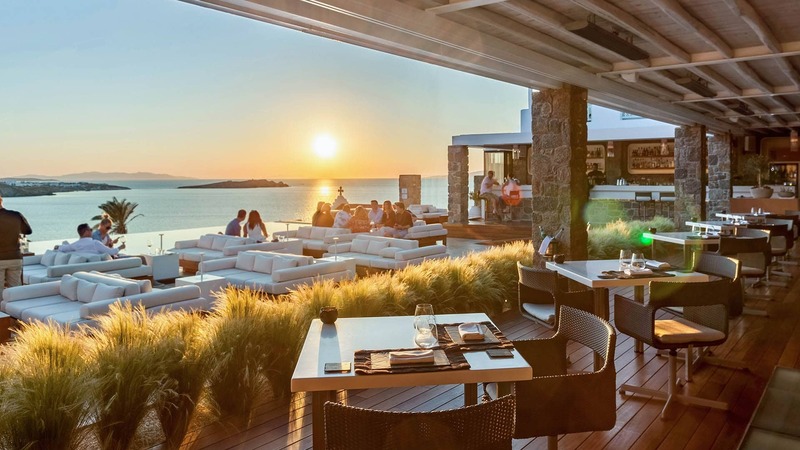 It offers a unique experience for all the senses, combining the gastronomic tradition of the Cyclades with imaginative modern cuisine. Solymar is the ultimate beach spot for soaking up the sun, enjoying delightful meals and all of these in an unparalleled tropical design. 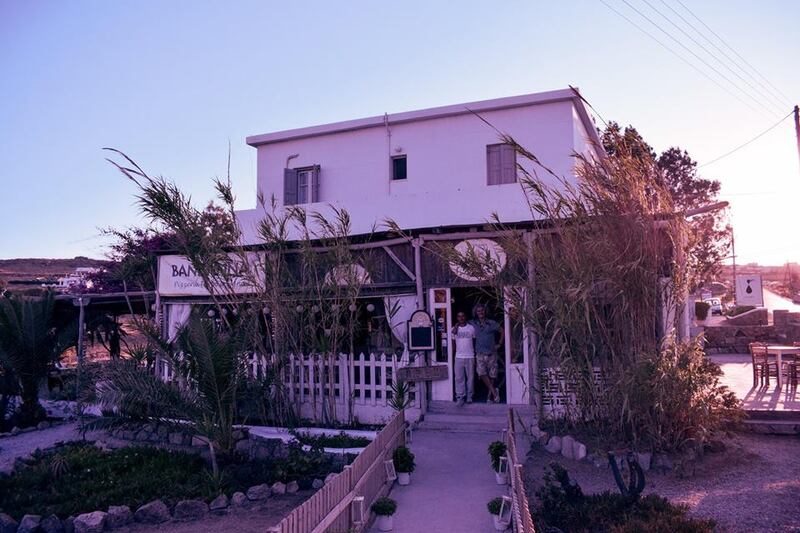 Tasos Taverna is located in Paranga beach just a few meters from the seafront. It has been there for more than 50 years serving Greek traditional and Mediterranean cuisine using the finest ingredients. Tasos Taverna offers a simple dining experience with a focus on culinary excellence in reasonable prices. If you are looking for good Mediterranean cuisine, this is the place. Bill and Coo restaurant is a unique experience of sound, taste, touch and vision, with a menu inspired by the Mediterranean flavours. The cuisine is Greek but also international, and everything is created with the finest ingredients. 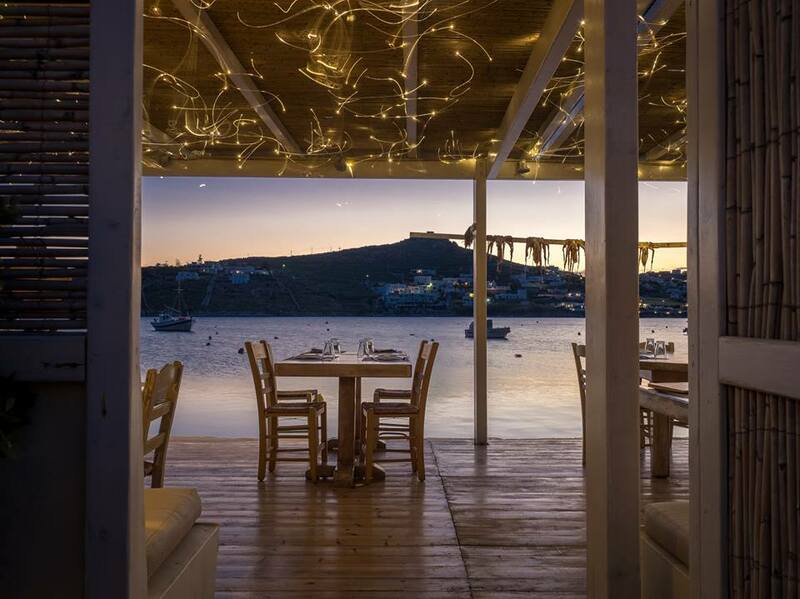 It is located just a few minutes outside Mykonos town, with a gasping view, offering an exquisite experience for the guests.